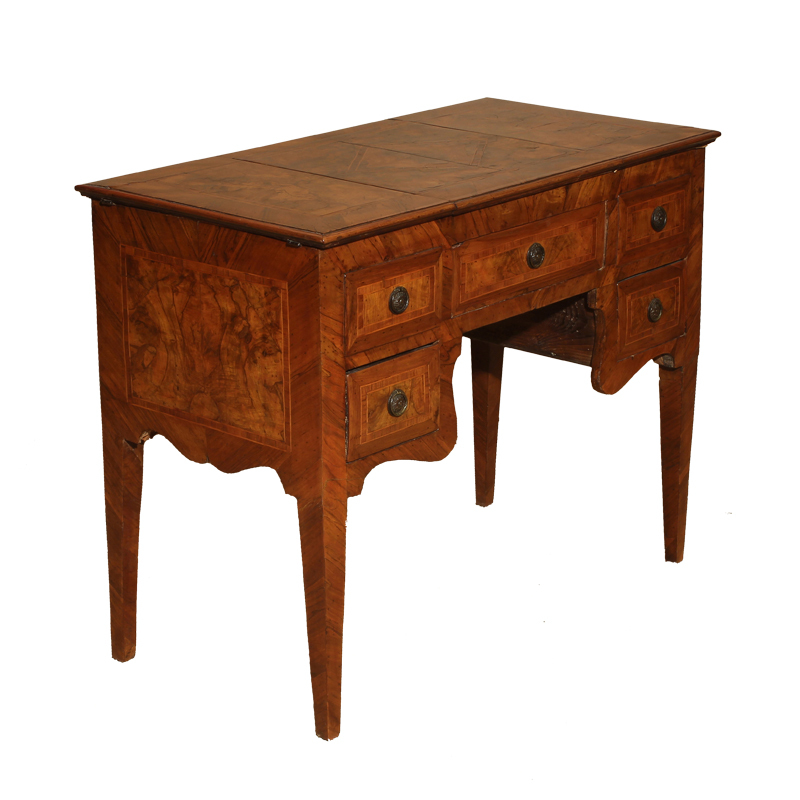 ITALIAN NEOCLASSIC WALNUT DESK; the top opening to storage sections; the knee hole and central drawer framed by two drawers on each side. Raised on tapering legs. Circa 1790.